A couch is a quintessential part of a gamer’s setup; nothing says “it’s time for video games” like sinking into a comfortable couch with your controller in hand, ready to spend hours with your favorite game. If you’re a serious gamer, you’ve likely already upgraded your setup with the best television, speaker system and most current consoles available, so why stop there? Trade that couch for a gaming chair and take your gaming experience to the next level. A gaming chair is exactly what it says on the label: a chair made specifically for gaming. 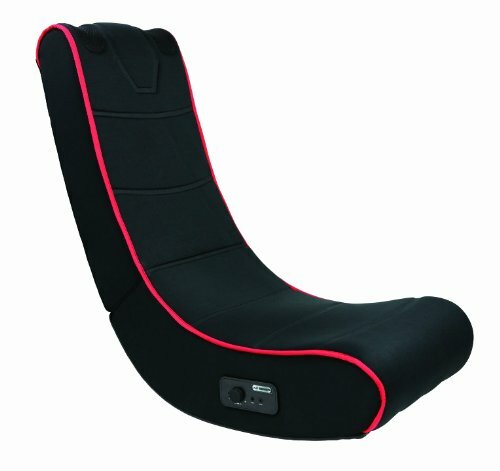 Gaming chairs combine the comfort of a couch or recliner with unique features that will enhance your all-night gaming marathons. The main advantage that gaming chairs offer over regular chairs is that gaming chairs are ergonomic; while couches and recliners bend at a 90-degree angle, gaming chairs provide a subtle curve that will cradle your back. You won’t need to readjust yourself every hour or so in a gaming chair, as the seat will adjust itself to your position. Many gaming chairs boast the fact that gamers can sit in them for hours at a time and not feel any pain or discomfort, which is something that few other pieces of furniture can claim. If you’ve ever played a game for hours at a time on a couch, you’re likely familiar with the pain that comes from holding your arm, or arms, up as you hold the controller. This pain is a thing of the past with gaming chairs, as they offer padded but firm armrests on each side, giving gamers stability for their arms and wrists when they play games. These armrests can also double as built-in storage for your extra batteries or include places to hold your drink. The features don’t stop there; some gaming chairs come with speaker outputs, making you feel like you’re really in the middle of the action. In many of these chairs, you not only get speaker outputs but headphone jacks and even USB slots to charge your controller as you play. Some chairs even include a footrest for maximum comfort or built-in vibration to fully immerse you in your game. One of the best features a gaming chair offers is portability. If you’re having some friends over and want to free up some space, just move the gaming chair to another part of the house. Need some extra seats for your gaming party? Just roll out a few more gaming chairs. At a cost that is significantly less than your average piece of furniture, you can afford to stock up on extra gaming chairs. What’s the Difference Between Console Gaming Chairs & Pc Gaming Chairs? Console gaming chairs and PC gaming chairs share a lot of similarities, with only one significant difference between them: the form of the seat. 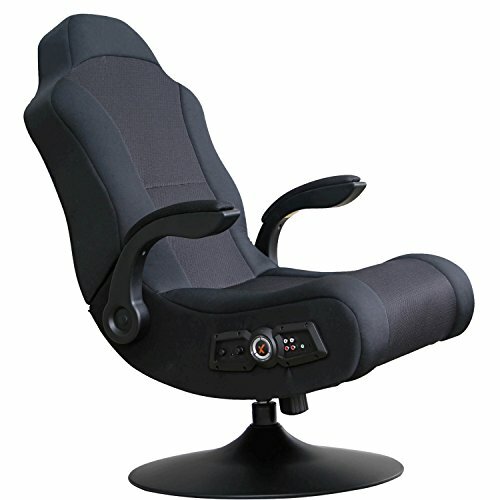 While console gaming chairs rest lower to the ground, PC gaming chairs look and feel similar to your average computer chair, giving you the height you need to see the monitor. Because of this, PC gaming chairs offer extra features that let you fine-tune the chair to your specification, such as choosing the height that works best for you. What Are the Best Brands in Gaming Chairs? While there are many companies producing gaming chairs, three stand out from the pack: X Rocker, Vertagear and DXRacer. X Rocker is the most well-known gaming chair manufacturer and also one of the first. Designing gaming chairs since 2005, X Rocker is best known for integrating high-quality sound systems directly into their chairs. The X Rocker chairs also have a distinctive sloping shape with a rocking function, which is another of the company’s signature features. If you’re looking for a gaming chair for your console games, you can’t go wrong with an X Rocker gaming chair. For PC gamers, Vertagear is one name that is synonymous with quality. Their PC gaming chairs are among some of the best in the industry, featuring stylish racing designs and innovative features like headrests. Vertagear is constantly refining its products based on user features, with each new gaming chair building on the strengths of the previous one. 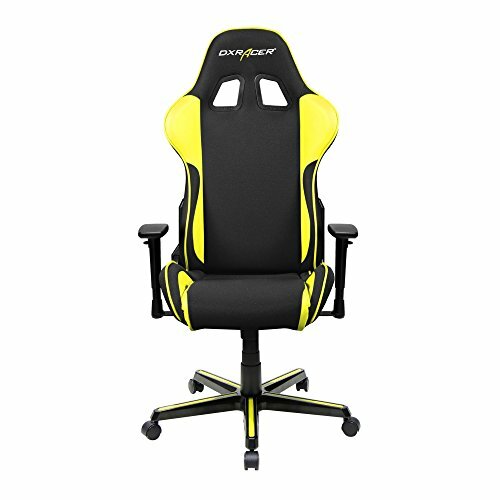 DXRacer also makes PC gaming chairs and, at first glance, their seats look similar to Vertagear’s chairs. However, once you sit in a DXRacer chair, you’ll feel the difference almost immediately. This difference is due to DXRacer taking inspiration from actual racing seats, with each DXRacer gaming chair reinforced with a steel frame and providing plenty of cushioning. DXRacer markets their chairs towards eSports players due to their high durability and comfort, and you’ll often find DXRacer as a sponsor of many high-profile eSports events. When purchasing a gaming chair, consider what your specific needs are. Do you take gaming seriously, spending hours in front of your console or PC in one sitting? Then you’ll want to look for a chair that makes comfort a priority. Are you a casual gamer who prefers games with a slower pace, letting you eat or drink while you game? Then you’ll want a gaming chair with room for your snacks and beverages. Like any piece of furniture, what to look for in a gaming chair mostly comes down to personal preference and how you plan on using it. 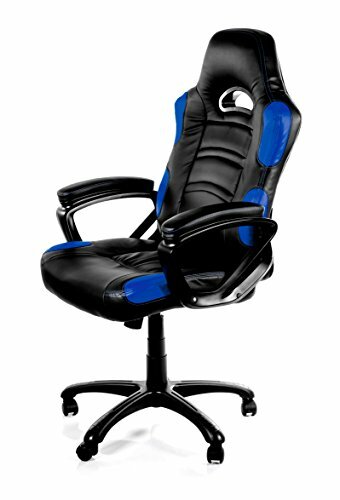 What Age Range Can Use a Gaming Chair? Most gaming chairs aren’t specifically for one age group; like a regular piece of furniture, gaming chairs are designed to accommodate all shapes and sizes. 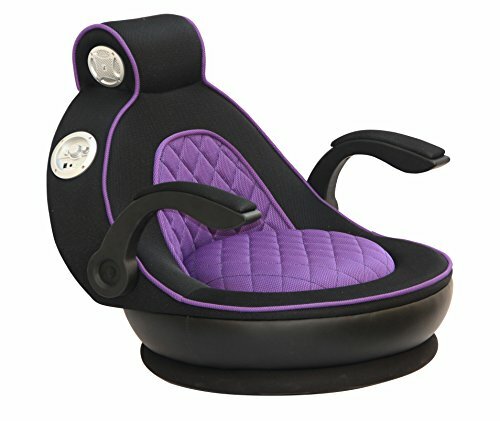 While some younger children will find particular gaming chairs too big, many companies, such as X Rocker, do make smaller gaming chairs specifically for children. Some kids also prefer bean bag gaming chairs to solid ones. How Do I Clean a Gaming Chair? Like any piece of furniture, taking care of your gaming chair will ensure that it lasts for decades to come. You don’t need any specialized materials to clean your gaming chair, just the usual spot removing products and wipes that you would use on any other seat or couch. It’s a good idea to wipe down your gaming chair after every use, especially if you just got done with an eight-hour gaming marathon or are sweating profusely due to an intense action game. Now that you know what a gaming chair is, what it’s capable of and some of the best brands out there, check out 20 of the best gaming chairs that are available to purchase today. The Vertagear Racing Series S-Line SL2000 Ergonomic Racing Style Gaming Office Chair is one of the best PC gaming chairs that money can buy and also one of the most expensive. However, you can rest assured that this chair is worth every bit of the price tag. Not only does the Vertagear Racing Series S-Line SL2000 Ergonomic Racing Style Gaming Office Chair feature high-quality PVC leather, but it’s also constructed with a steel frame and uses soft-glide wheels so you can quickly and quietly roll it across the floor. This chair is extremely durable, able to shrug off damage that would decimate inferior PC gaming chairs. The tilting feature lets you lean back while you game and the locking feature ensures that once you’ve found a comfortable position, you can stay in it. With a padded headrest and padded armrests, this PC gaming chair is perfect for your next gaming marathon. If you thought the Vertagear SL2000 gaming chair was an amazing PC gaming chair, then check out the Vertagear Racing Series S-Line SL5000 Ergonomic Racing Style Gaming Office Chair. The SL5000 includes all of the features seen on the SL2000 but adds its own premium touch in the form of a high-density resilient foam. This foam not only increases the durability of the chair but also offers a level of comfort usually reserved for high-end mattresses. This PC gaming chair will shrug off most minor scratches; only a concentrated assault that is purposefully planned would make a dent in this rugged seat. 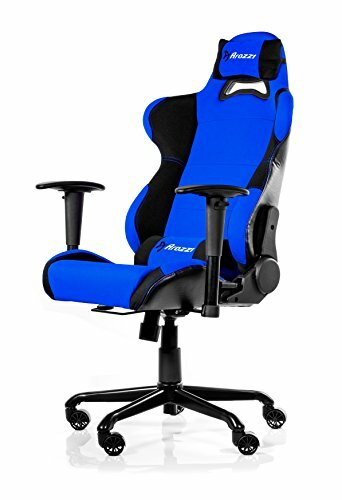 Last but not least, this PC gaming chair offers customization in up to four different directions, ensuring that you can set this chair up in the perfect position for your body. Arozzi may not yet be a household name when it comes to PC gaming chairs, but with chairs like the Arozzi Enzo Series Gaming Racing Style Swivel Chair, it’s only a matter of time before the rest of the gaming community catches on. The Arozzi Enzo Series Gaming Racing Style Swivel Chair features a stylish racing motif with durable padding, adjustable height, a 360-degree swivel and a seat that you can tilt and lock in place. The five wheels on this chair make it easy to transport, and the wheels lock in place, ensuring that you don’t roll away from your PC during an intense multiplayer match! The ergonomic design of the chair keeps you in a proper seating position the entire time you game, letting you walk away from the computer without the back pain that accompanies a regular computer chair. X Rocker is primarily known for their console gaming chairs, but the X Rocker 0287401 Executive Office Chair proves that the company can hang with the best PC gaming chair manufacturers. X Rocker doesn’t abandon what made them famous, with the X Rocker 0287401 Executive Office Chair having built-in speakers that are on par with high-end, standalone PC speakers. The built-in Bluetooth receiver lets this gaming chair receive audio signals from any Bluetooth-enabled device, such as your smartphone or tablet. This PC gaming chair has all the features you’d find on other gaming chairs, including padded cushions, and adjustable height and wheels. X Rocker may not make a lot of PC gaming chairs, but when they do they absolutely knock it out of the park. 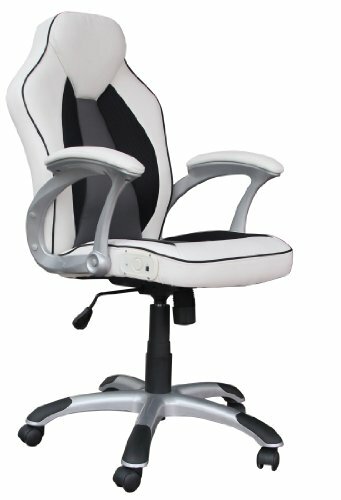 While the Armature Gaming Racing Style Office Chair looks similar to other PC gaming chairs, the installation is noticeably different; while other PC gaming chairs require a degree in engineering to assemble, the Armature Gaming Racing Style Office Chair boasts an easy assembly that will only take a matter of minutes. 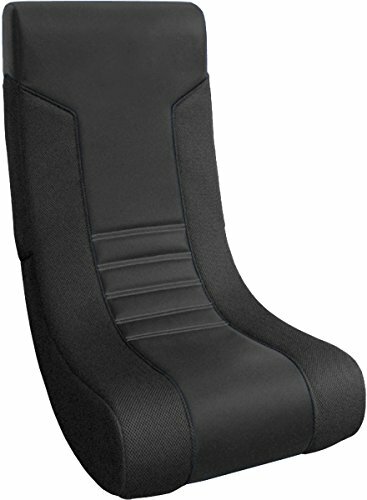 Every inch of this PC gaming chair is adjustable, from the height to the armrests and head cushion. The high-quality PU leather isn’t just comfortable, it’s durable as well, with Armature claiming that this chair can last for years if you properly take care of it. The stylish black and orange color scheme will easily blend in with the rest of your surroundings and the built-in wheels let you quickly move this chair from one location to another. The X Rocker 51396 Pro Series Pedestal 2.1 Video Gaming Chair is the company’s premiere gaming chair, including all of the features in a single chair that made the manufacturer one of the best. This console gaming chair includes two 2.1 speakers and a subwoofer, letting you feel every gunshot, explosion and footstep on the battlefield. The built-in radio wireless receiver gives this chair compatibility with every major video game console, from the Xbox One and PlayStation 4 to older consoles such as the PlayStation 2. The ergonomic design of this chair will leave your back feeling great while the armrests double as storage containers. You’ll likely end up loving the X Rocker 51396 Pro Series Pedestal 2.1 Video Gaming Chair so much, you’ll use it for other activities as well, including reading and listening to music! Gamers not looking for all the bells and whistles of your average gaming chair will want to check out the BirdRock Home Adjustable 14-Position Memory Foam Floor Chair & Gaming Chair. This gaming chair focuses on one thing: comfort. 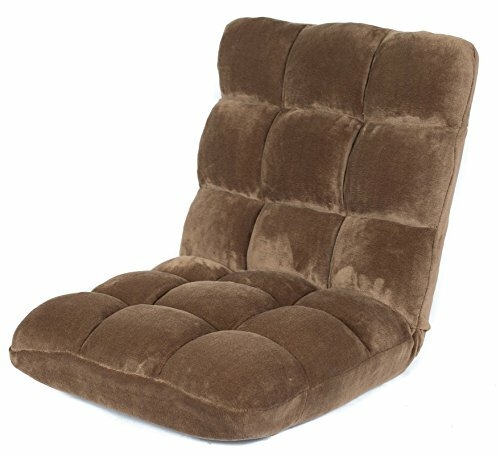 The soft plush fabric covers a memory foam that allows this chair to meld into the contours of your body. With 14 different positions to lock the seat into, every gamer will find a position that is a perfect fit for him or her. Not only is the BirdRock Home Adjustable 14-Position Memory Foam Floor Chair & Gaming Chair lightweight but it can easily store in a closet thanks to its ability to lay completely flat. 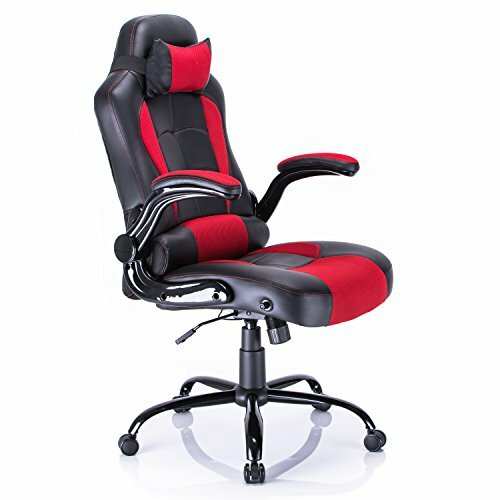 The V Rocker 5130301 SE Video Gaming Chair offers the same experience as an X Rocker gaming chair but at a lower cost. This chair features two powerful speakers and a subwoofer, an ergonomic design and durable material that will keep this chair looking good for years. This gaming chair lets you control the volume of your game without even needing to get up or reach for the remote, as it has volume and bass control dials conveniently located on its side. If you want to spare the rest of your household from the sounds of your video game, you can plug a pair of headphones directly into the chair using the side panel. If you’re planning on having some friends over, you can link multiple V Rocker 5130301 SE Video Gaming Chairs together to create the ultimate multiplayer experience. The X Rocker 5142201 Commander 2.1 Audio Gaming Chair is a chair that looks like it belongs at the helm of a sci-fi spaceship. This futuristic console gaming chair uses a durable polyester material to ensure it not only lasts for a lifetime but is comfortable to sit on. As a bonus, X Rocker also claims that the polyester material will keep the seat cool even after hours of use! Like most X Rocker gaming chairs, the X Rocker 5142201 Commander 2.1 Audio Gaming Chair features two 2.1 speakers and a subwoofer. The elevated seating position means you’re not sitting on the floor while giving you the freedom to swivel around and tilt back. Unlike other gaming chairs, the X Rocker 5142201 Commander 2.1 Audio Gaming Chair features flip-up armrests, letting you store them on the sides of the chair if they are just getting in your way. Like the BirdRock gaming chair, the Imperial Ergonomic Video Rocker Gaming Chair isn’t concerned with additional features such as speakers or a place to hold your snacks. Rather, this gaming chair focuses on comfort above all else. The ergonomic design is specifically tailored to keep your back comfortable while the microfiber and mesh material is not just comfortable, it’s also easy to clean. 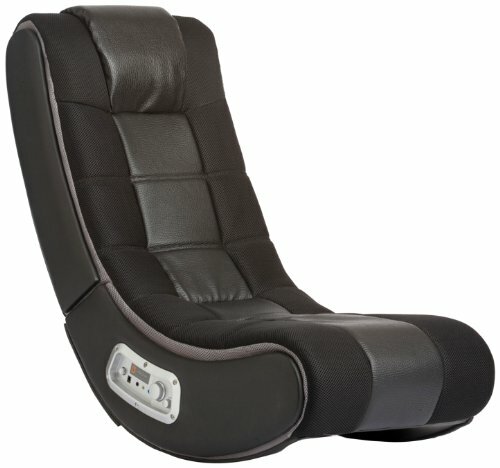 The rocking motion in this gaming chair makes it a fantastic chair just for relaxing in when not playing games. Like other gaming chairs, the Imperial Ergonomic Video Rocker Gaming Chair folds down flat, making it easy to store in a closet or under a bed. This chair comes in four different colors, ranging from all black to bright red, letting you pick the gaming chair that is a perfect fit for your decor. You don’t need to spend a fortune just to have a fantastic gaming chair. Below are three of the best gaming chairs available at under $100. These gaming chairs don’t sacrifice features for a low price, coming with the same amazing features you’ll find on gaming chairs that are more than double their cost. It might look like the driver’s seat of a race car at first glance, but that just proves the serious power that the X Rocker Drift by X Rocker offers. This gaming chair sports a checkerboard accent and comes with two booming speakers along with a subwoofer to pull players right into the middle of the game world. For added control over your aural experience, the X Rocker Drift Gaming Chair features dual knobs that control the volume level and amount of bass; after all, the neighbors probably wouldn’t appreciate the chair’s rich booming sound quite as much in the middle of the night. 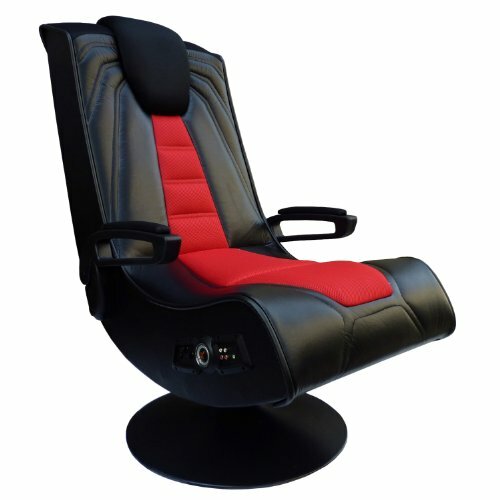 The X Rocker Drift Chair isn’t only suitable for connecting with modern gaming consoles: It also works well for watching television with surround sound, listening to radio via a built-in wireless receiver, or just for sitting comfortably in quiet while reading. Developed by Cohesion, the XP 2.1 Gaming Chair with Audio offers an excellent compromise between cost and features. Don’t let its low cost fool you: The Cohesion XP 2.1 Gaming Chair is a comfortable chair to settle into for those long stretches of gaming with friends. It also sports a pair of wired audio speakers embedded into either side of the chair, allowing players to hear every moment of the action no matter what the distance from the television. The XP 2.1 Gaming Chair is made with a smooth, black fabric that truly adds to the overall experience of gaming in style. Cohesion also took great care in choosing materials that not only felt comfortable to sit on but would also make the chair lightweight, making it both easy and convenient to travel with. The portable nature of the Cohesion XP 2.1 Gaming Chair means that you’ll always have a quality console gaming chair no matter where you are. 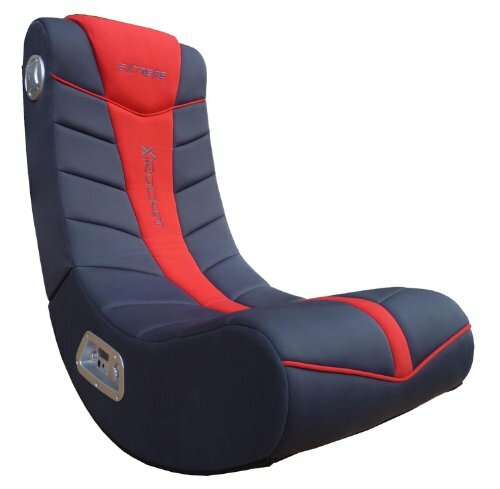 If there’s one name that gamers can trust when it comes to finding a high-quality, low-cost gaming chair with numerous features, it has to be X Rocker; that fact doesn’t change with the new Extreme III 2.0 Gaming Rocker Chair, a seat which includes everything one would expect from X Rocker. For starters, the Extreme III 2.0 Gaming Chair uses a trendy, sporty design that features chevron indentations that complement X Rocker’s ergonomic design. These chevrons aren’t just for looks; they are also meant to improve back support for long gaming sessions. Aside from style, the X Rocker Extreme III 2.0 Gaming Rocker Chair also comes with plenty of function, taking advantage of 2.0 stereo speakers for the ultimate gaming experience. In between games, the chair can also stream music from a variety of devices such as smartphones or tablets. If you’re looking for more features than your average gaming chair but can’t quite afford the best gaming chairs on the markets, you’ll love these three mid-range gaming chairs. In fact, you may even come to prefer these gaming chairs over their more expensive counterparts! 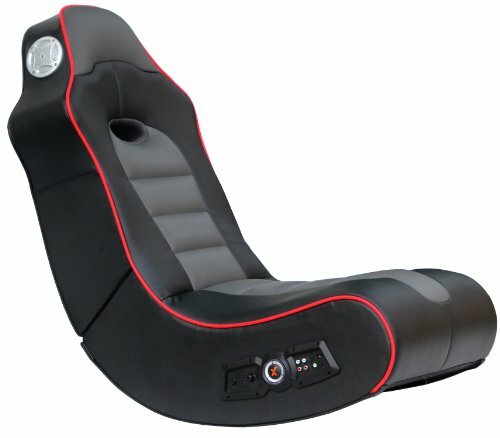 When you first lay eyes on the X Rocker 5125401 2.1 Wireless Bluetooth Audi Pedestal Video Gaming Chair, you’ll notice the stylish black and red color scheme. However, this chair has more going for it than just looks; once you take a seat, you’ll love the comfortable leather exterior which stays cool no matter how long you sit in it. Once you start to play a game, this chair will come alive thanks to its two 2.1 speakers and a powerful subwoofer. The built-in Bluetooth audio receiver can stream music from any Bluetooth device, including Android smartphones, iPhones and iPads. This ergonomic chair can both tilt and swivel while its lightweight nature makes it easy to pick up and move to another part of the house. 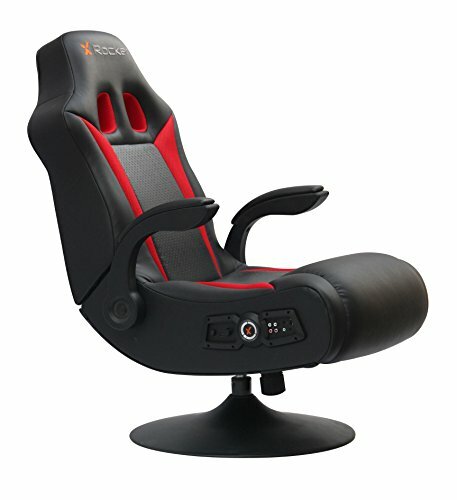 Connect multiple X Rocker 5125401 2.1 Wireless Bluetooth Audi Pedestal Video Gaming Chairs together to create the ultimate multiplayer gaming experience! The X Rocker 51092 Spider 2.1 Gaming Chair has a lot in common with the X Rocker 5125401 2.1 Wireless Bluetooth Audi Pedestal Video Gaming Chair, including two speakers and a subwoofer, an elevated ergonomic design and built-in radio support. However, where the X Rocker 51092 Spider 2.1 Gaming Chair stands out from the pack is that it offers support for vibration. It was a tremendous innovation in the gaming industry when controllers started including built-in vibration; now imagine what it will be like when your entire gaming chair shakes from an in-game explosion! The vibration feature of the X Rocker 51092 Spider 2.1 Gaming Chair is a game-changing experience, adding a level of immersion you just can’t get when gaming on the couch. The X Rocker 5172601 Surge Bluetooth 2.1 Sound Gaming Chair features the classic X Rocker design that made the company famous. This low-to-the-ground chair features a sloping curve that will cradle your back and provide comfort for hours on end. No matter how long you sit in this chair, X Rocker ensures that your back and neck will feel great. This chair features built-in Bluetooth, two speakers, a subwoofer, integrated audio controls and a racing-inspired design that will seamlessly blend in with the rest of your furniture. This chair isn’t just for console gaming; X Rocker claims that gamers who love handheld gaming will love kicking back in this chair with their 3DS or PlayStation Vita. When money is no object, and you want the best gaming chair that money can buy, then you’ll want one of these three gaming chairs. These chairs are some of the best these companies put out and are filled with features you just can’t get with lower-priced gaming chairs. We’ve featured a lot of X Rocker gaming chairs on this list and for good reason: When it comes to high-quality gaming chairs, X Rocker just can’t be beaten. 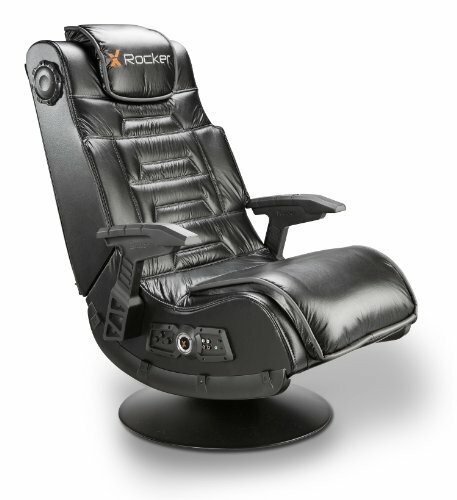 When you want the best X Rocker chair that money can buy, you’re going to want the X-Rocker 5129001 2.0 Wired Video Gaming Chair. The heavy-duty, padded backrest makes this gaming chair one of the most comfortable that X Rocker puts out, and the padded armrests are like placing your arms on a pair of pillows. The high-quality speakers and subwoofer immerse you into your games like no sound system can while the integrated audio panel lets you adjust the volume, plug in headphones or even link multiple X Rocker gaming chairs together for multiplayer. If you’re frequently finding yourself sitting in front of your console for hours at a time, the X Rocker 5129001 2.0 Wired Video Gaming Chair is the gaming chair for you. If you take PC gaming seriously, then you need a serious PC gaming chair like the DXRacer Formula Series DOH/FH11/NY Newedge Edition Racing Bucket Seat Office Chair. 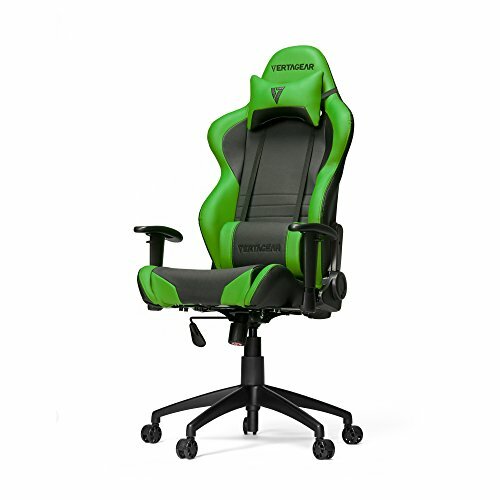 DXRacer patterns this chair after an actual racing seat, incorporating features such as head and lumbar cushions, padded armrests, a footrest, and even using a breathable material so the chair doesn’t retain sweat. The padded material is also durable, with this DXRacer gaming chair able to withstand impacts that would make other PC gaming chairs fall apart. With a steel frame and steel base, the DXRacer Formula Series PC Gaming Chair won’t break down even during the most intense gaming marathon. Designed specifically for eSports players, DXRacer created this high-quality chair specifically for those who find themselves regularly gaming for eight hours or more at a time. Sometimes, you don’t want to play games while sitting stationary on the ground without any arm support. No matter how cool that lower-cost gaming chair might be, it pales in comparison to both the comfort and flexibility that the Torretta Series Racing Style Gaming Chair by Arozzi has. Not only does Arozzi include a fashionable backrest, but it’s a comfortable one that comes with integral armrests the user can adjust at will. 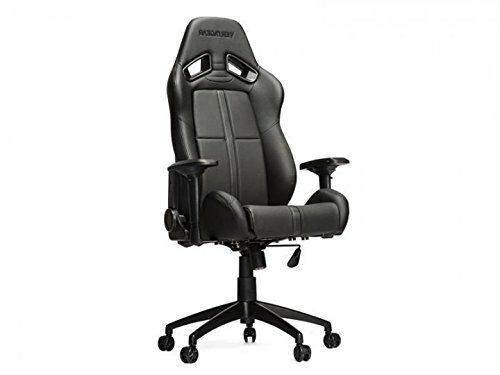 In the spirit of full customization, you can fully adjust the headrest and height on this PC gaming chair. Aside from this added comfort, the Torretta Series Racing Style Gaming Chair by Arozzi also rests on a heavy-duty set of wheels that allow the user to move around hard floors seamlessly—sorry, no carpets allowed here! As a bonus, the Arozzi gaming chair comes in a variety of color choices to suit your needs, including red, black and azure. As mentioned previously in this buying guide, while gaming chairs are suitable for children, many kids will simply find the chairs too big for their small bodies. Bean bag gaming chairs are the perfect fit for children, as no matter how big the bean bag is, it will be a comfortable fit due to the material used inside of it. When it comes to bean bags, the Jaxx Bean Bag Gaming Chair is one of the finest bean bags that money can buy. This bean bag chair features a finely shredded polyurethane foam that is soft and comfortable for gamers of all ages; whether you’re a young child, a teen or even an adult, you’ll find that this bean bag chair is an ideal fit. The suede cover is machine washable, which is perfect for kids or even adults who find themselves frequently spilling food and drinks. At four feet long, this bean bag chair is the perfect size for both a parent and child to cuddle in together and play a video game or just read a story. With nine different colors to choose from, including red, black and navy, your child will have no problem getting a bean bag chair in his or her favorite color.